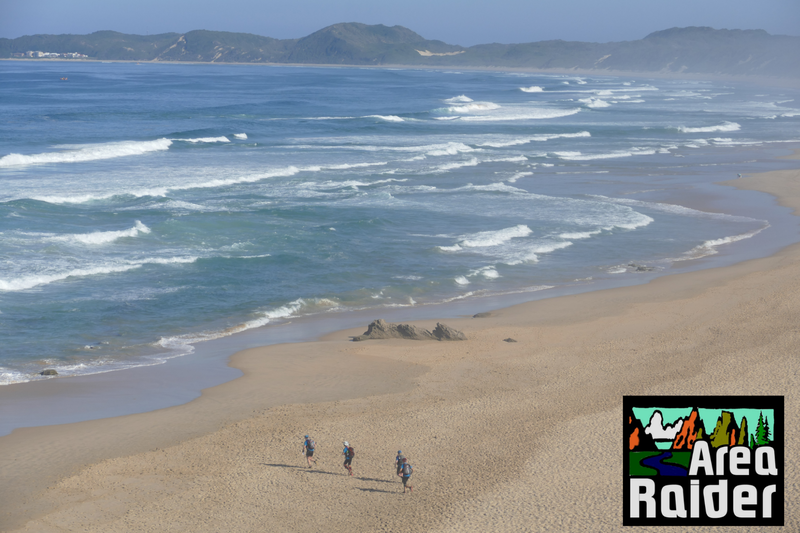 The Garden Route truly offers a the perfect playground for this year’s Expedition Africa. Over 50 teams we graciously welcomed by the beautiful sunrise whilst they got ready for their wet start of the 544km adventure race. Day one of the self supported and navigated challenge proved to be an exciting one with a kayak start at the Knysna Waterfront. Teams paddled towards Thesen Island hastily, taking on their orienteering leg, in order to collected their next map and plot their next route. The Merrell Adventure Addicts took the lead upon the water, with Sweco Adventure (Switzerland) in tow followed by Naturex (France). 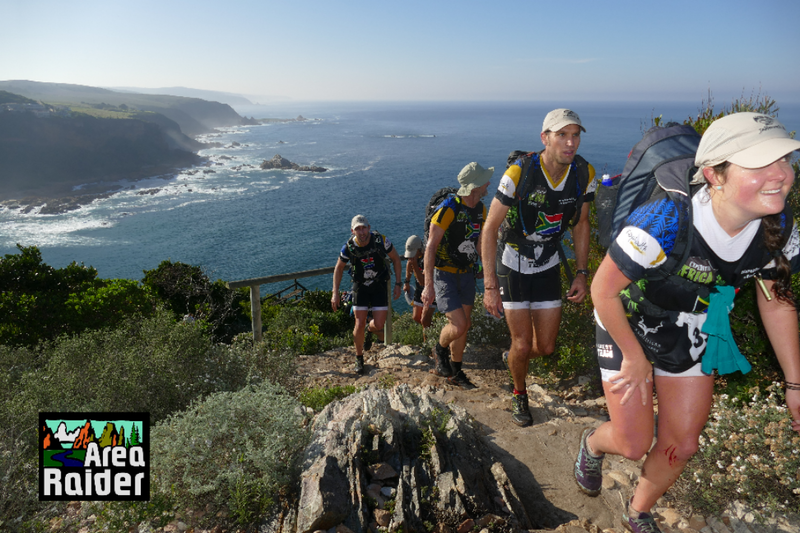 Within the first hour of the race, it was evident that the Merrell Adventure Addicts (RSA) were on their way to defend their winning title. However supporters cheered on another local (come-back) team; Featherbed Painted Wolf (RSA) as they stole the lead from the reigning champs during the trekking leg to Brenton-on-Sea. 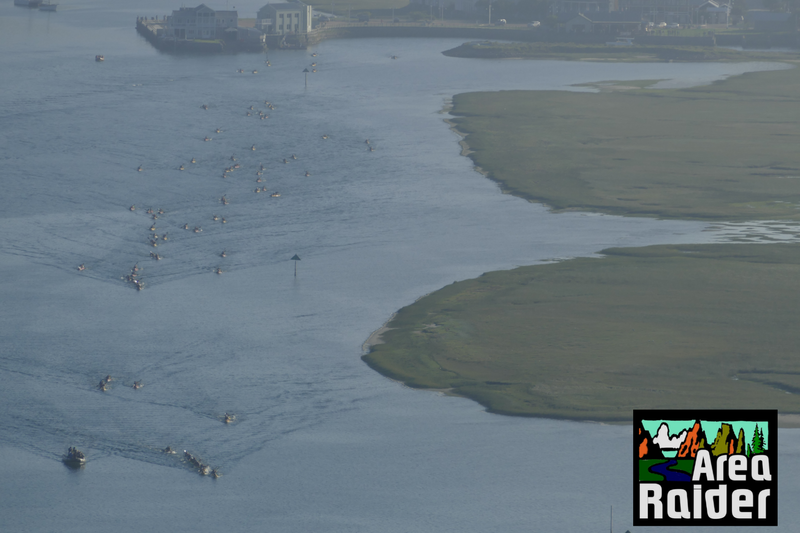 This year’s day one featured multiple legs; a 10km kayak, a 13km trek within the Featherbed Nature Reserve, a 17km Kayak incorporating a sea paddle. 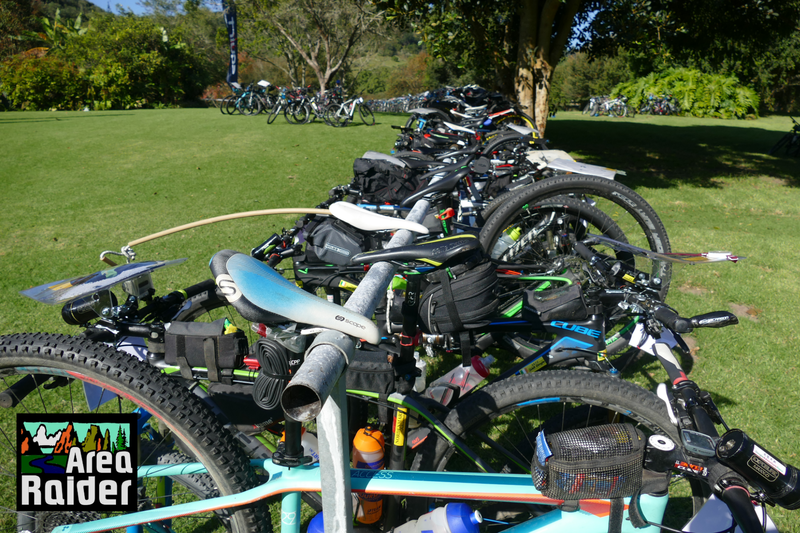 A 30km cycle followed suit through to T4, where teams took off on the 58km trekking leg into the Outeniqua Forest. 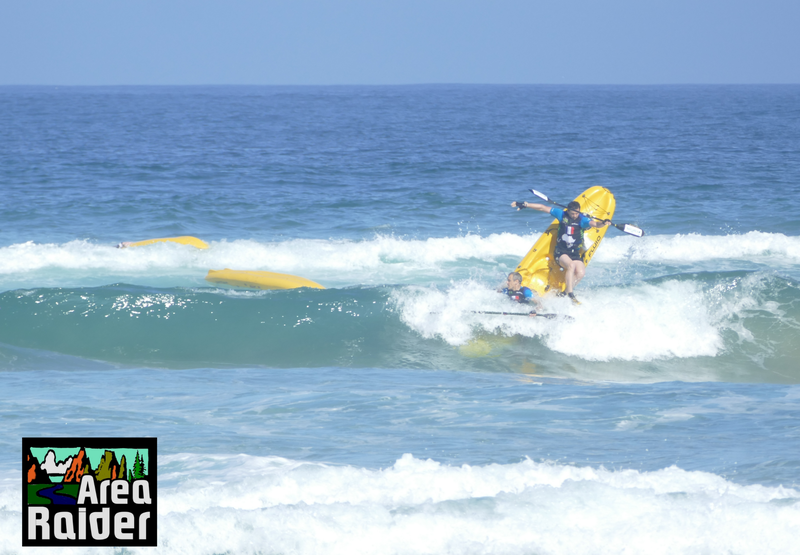 The sea paddle was later cancelled due to high seas and heavy waves which rolled in resulting in complete carnage as almost every team swam to shore; paddles in hand when trying to navigate the channel through to the Goukamma river. “We took a sneak through Buffles Point and got slammed by a massive wave. That was nearly our race over!” shares Mark Collins of Featherbed Painted Wolf (RSA). Local knowledge proved to not be so advantagous, however the heavy swell did not stop their determination to lead day one. Moreover the adventurous day ensured not only the leaders ran into trouble, but team Gungho (USA) lost their passport during the coastal trek in Leg 4 as they were slammed by a rogue wave. Due to some quick thinking a team member hastily retrieved the passport ensuring their race would continue. The majority of the teams pack will race throughout the night in pursuit of reaching Transition Five before the end of day two. Featherbed Painted Wolf still hold the lead for the moment However, numerous routes and the bitter cold might catch them or chasing teams off guard resulting in an even more interesting day two. ← Expeditión África Athletes develop their creative side for charity!